At loose end in post World War II London, Lady Margaret Leighton chances upon a movie poster showcasing the young soldier she gave her heart to while serving as a military nurse. Desperate to reconnect with him, she uses her wits and newly discovered writing muse to scheme her way into the movie studio where he is an actor. Molly is certain they will live happily ever after. And they just might... But first Molly has to figure out who she is and what she wants. Can she make this unexpected career work with the expectations of her elite family? She'll try to do it all while trying to keep the seams on her stockings straight. Peeking into Mr. Thomas Worthington’s Most Excellent Bookshop, Miss Livingstone is knocked bustle over teakettle by his ominous partner, Mr. Manush. She stumbles into an enthralling mystery of time-traveling stone amulets hidden in a curious cabinet at the back of the shop. 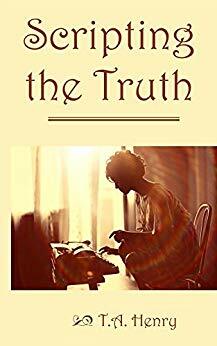 Thrown thirty years into the future she’s captivated by the older Mr. Worthington in 1941. The gentleman is intriguing in any decade. When timelines tangle in an imposing twist of fate, she enlists the help of her best friend Janie and soon finds a key – a magical one! A gypsy’s gift in Paris sends her flying on a dirigible in 1815, and spinning further back in time with Mr. Manush in perilous pursuit. 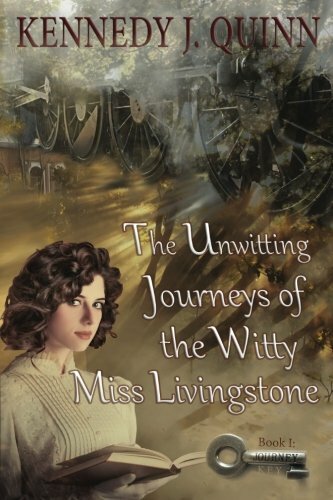 Collecting books on her remarkable journeys, the inquisitive Miss Livingstone uncovers mysteries of life and love. And she always takes the steam train home. Hatshepsut, the Great King’s Wife, is thrust into a world of intrigue and politics when her husband, Pharaoh Thutmose, dies suddenly, leaving Egypt with an heir who is barely two years old. The Queen must step into the role of leader, and there are few whom she can trust. When Hatshepsut is crowned as Pharaoh, she grooms her daughter, Neferure, to take the place of heir, rather than Thutmose’s infant son from another woman. Neferure, though young, is still older than the boy who should by all rights be king. The future of Egypt rests in the hands of a single woman, the most powerful woman in the ancient world. 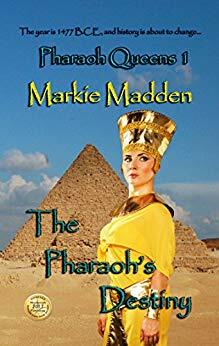 Can Pharaoh Hatshepsut’s people accept her unorthodox reign, and her plans to usurp the men’s place as rulers of a Kingdom, decreeing that only women are suitable leaders? Unique premises for each book! 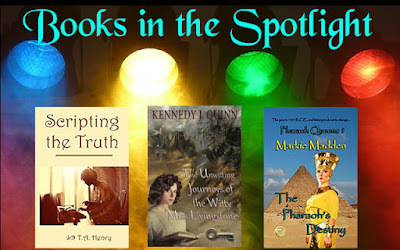 Erika M. Szabo​ presents anther three books in the #OurAuthorGang spotlight -- an intriguing trio of romance novels set in ancient Egypt, a steampunkish time travel and WWII London. Romance readers, how can you go wrong? Romance isn't my "thing," but these are an intriguing trio!! Kudos! Today, at #OurAuthorGang, romance is in the spotlight with three lovely titles for readers to discover.